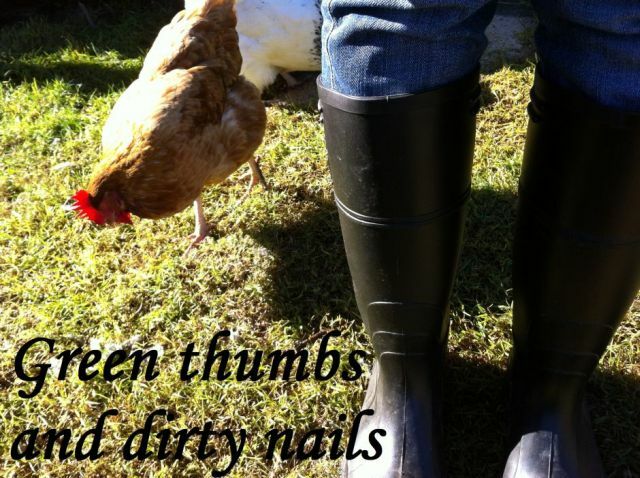 Green thumbs and dirty nails...: A button-sized success. These tiny button-sized scarlet balls represent a gardening milestone for me. My first ever cherry tomatoes, grown without sprays or chemicals, in the dead of winter! This time last year I had invested in a small four tiered plastic covered greenhouse with good intentions of using it to raise seeds for that coming summer. Unfortunately my complete lack of understanding about the principles behind greenhouse seed raising lead to a production of crispy brown seedlings (note to self: leaving a greenhouse completely closed in the Australian summer will lead to temps above 50oC). This winter, having invested in a much larger greenhouse (and some informal education on the matter) I have had success with raising seeds. This tomato plant grew from seeds dropped after last summers crop. I think the variety was called "Tiny Tom". The fruits small size is due to the plant having to grow in a smaller than ideal pot, as space in my greenhouse is limited. While two tiny tomatoes really does not even qualify for a salad for one, it is an indicator to me that in gardening, anything is possible. Those little tomatoes are such a deep ripe colour. Sounds like your green house techniques are successful.